Coconut oil holds a distinctive place among other holistic, all-natural remedies because of the sheer magnitude of benefits it offers. Although coconut oil is composed of almost ninety percent saturated fats, it more than makes up for it with the presence of three vital acids, and a host of vitamins and minerals. Lauric acid, capric acid and caprylic acid provide anti-microbial, anti-fungal and anti-biotic properties that make coconut oil one of the most versatile compounds we have. The lauric acid alone is a powerful anti-bacterial that has laid its roots in the traditional Ayurvedic medicine of India and continues to hold a wealth of potential for Western medicine. The proteins and saturated fats work together to provide sheen and strengthen your hair’s roots to encourage growth and prevent breakage. 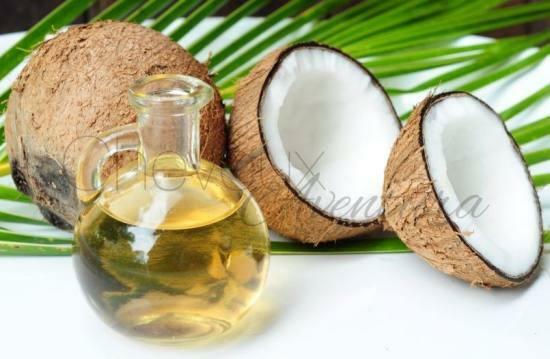 But, lauric acid makes coconut oil a potent weapon against lice, dandruff and other scalp conditions. Some people apply coconut oil daily to condition their hair and nourish the scalp, but if you’re worried about build up, using it as a hot oil treatment will work. Work the oil through your hair after washing and wrap your head in a hot towel. After twenty or thirty minutes, rinse clean with warm water. The high fat content of coconut oil is perfect for penetrating the epidermis of the skin to provide lasting moisture. Unlike some moisturizing treatments, like mineral oil, coconut oil carries no danger of adverse reactions like hives. Like most moisturizing oils, you can use coconut oil to relieve eczema or psoriasis, but because of the anti-microbial and anti-bacterial elements, coconut oil can actually reduce the chance of future breakouts. Applying coconut oil to wrinkles before you go to bed can also help you fight aging by moisturizing and firming up sagging skin. Very few natural oils can claim to help you lose weight, but coconut oil contains what are referred to as medium chain fatty acids, which help you process food quickly. Coconut oil is also broken down easily, so it is digested quicker, which translates in to a quicker metabolism. Consequently, your pancreas doesn’t work as hard, you burn more energy, and your weight goes down. Coconut oil can be used as a cooking oil for sautéing, or you can infuse the oil with flavor for salad dressings. If you suffer a minor cut or bruise, or you’re worried about athlete’s foot, ringworm, or even diaper rash, coconut oil can help fight potential infections. When used on open wounds, coconut oil forms a barrier against bacteria, fungus and viruses that might compromise your health; it also works to speed up the healing process. If you have problems with an ear infection, coconut oil can be used to soothe the pain and pressure that comes with it. Just apply a few drops in to your ear and lie on your side, with the infected ear facing up. You should allow a few minutes to let the oil work its way down in to the canal.